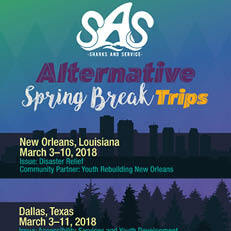 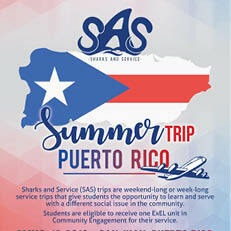 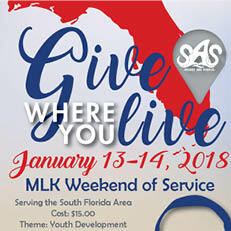 Sharks and Service (SAS) trips are service immersion opportunities for students to travel to another community to spend a weekend or week volunteering with a specific social cause. 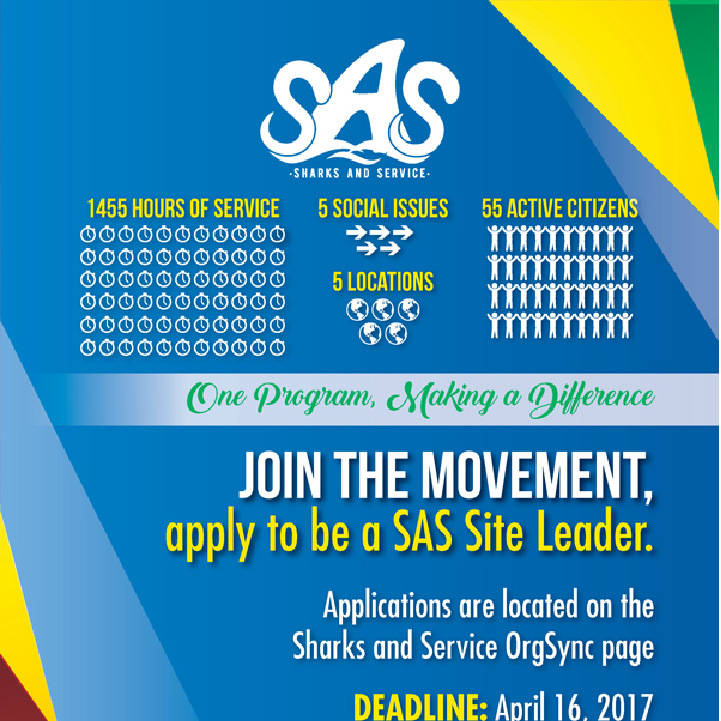 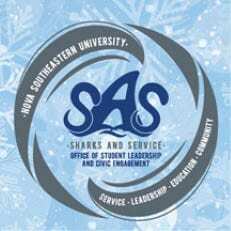 Join the movement; apply to be a Sharks and Service Site leader. 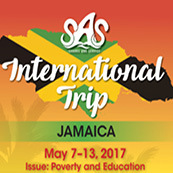 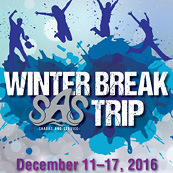 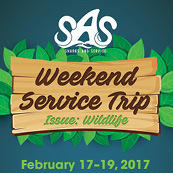 Participants of this SAS trip will have the opportunity to travel to Asheville, North Carolina from December 11–17, 2016 to learn and serve. 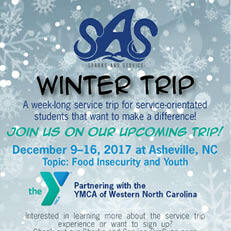 Participants will work with the YMCA of Western North Carolina helping build different facilities, assist with youth programs, and distribute meals to students in the area.